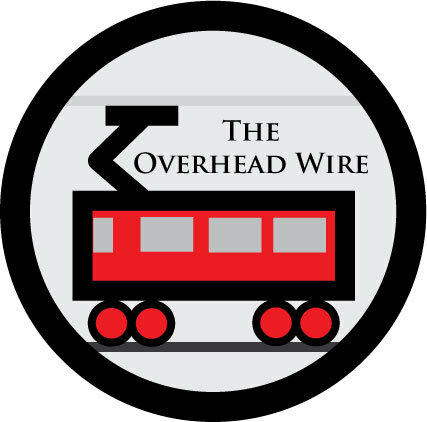 The Overhead Wire: Go Underground Young Man! Each time I go to a Rail~Volution conference I feel a bit revitalized. For some reason just seeing people doing all the great work that they do really gets me excited about the future, even though it's always hard when recent politics dictates one step forward and two steps back. I personally want to take 5 steps forward but we know that isn't how it works. Some of the best parts of the conference come from the stats and stories that people tell in the sessions and in the hallways. Today I learned what "Festival Parking" in development projects was from Art Lomenick and yesterday learned about a CDC program that invests in communities looking to improve health outcomes. But one of my favorite comments came from one of my favorite public officials. Harriet Tregoning mentioned in her session (and it was repeated in Streetsblog and STB posts) that subway tracking heavy rail is the best way to go when it comes to surface development. While there are a few examples of it working around the country, I think the clean slate it affords developers and pedestrians is a huge bonus over the long term. “In the short term, under-grounding can be very expensive, but in the long term it saves a lot of money,” Zimmerman said. The development that occurs above the station easily pays for the tunnel, and there’s significant savings on maintenance when rails are protected from the elements. But perhaps more important, there’s little difference between a transit line and an Interstate when it comes to fracturing the fabric of the urban environment. “A railroad takes up a lot of space and creates a barrier — something you can’t get across, like a highway,” he said. This also brings up another thing I would like to see in regions around the country. Usually we get into the chicken and egg question whether the transit or density needs to come first but ultimately I think transportation investment drives development investment and putting these lines underground allows us to think about these as a long term investment, even though people these days don't think that way. What I would like to see is a program for building at least three line subway lines in each major city in the United States. Now I'm not talking about these hybrid systems we get in the United States like BART but true central city Metros with transfer centers at the end that might stretch 3 miles from the center. What this would do is push cities to make urban development legal. The demand for development along major corridors stretches from the market generated around the gravity of central employment district. The benefit is that if you can get further from the center in ten minutes by putting the line underground, you will be able to build higher and create more walkable, sustainable development than you would have with just the bus. We see what a ten minute trip from downtown on a streetcar can do, we just need to get multiple modes going and augment with the subway. I know its dreaming because it can't really happen given the current environment, but its really what I believe should happen. This model is there with the DC Metro, we just need to make it happen somehow. You probably haven't been following the effort to bring an NFL team to Los Angeles, but apparently some people are upset about the downtown site because the smaller parking lot means less space for tailgating. You've commented on a similar circumstance before, but here the downtown site is more likely to happen than the Industry site, and you didn't directly take on the issue then, so I'm curious what your thoughts are. Hey Morgan! Gosh I just realized when I don't post I don't get to interact with you guys. For football stadiums, I'm more than usual of the mind that urban stadiums don't make a lot of sense. There are going to be at most 10 games a year which really isn't going to drive a lot of day traffic on off days and should really probably be somewhere that wouldn't be useful for other urban uses. I think the LA City of Industry site is probably better than downtown. Downtown has a market and it would be bad to waste it on something that is only used ten times a year. This is an ongoing bone of contention between the "light" and "heavy" rail systems. A typical light rail line, especially one built on a long-standing railroad right of way does not cause the disruption of a freeway project, and is a lot less expensive than a "heavy" system. On the other hand, some densely built-up older parts of cities may require underground construction. I'm not sure what you mean when you say "not a hybrid system like BART, but... DC is the model" when DC is, in fact, a hybrid system like BART. I myself am confused as to why BART seems to provide, at most, commuter rail levels of service at heavy-rail levels of infrastructure and cost, but Metrorail is designed to provide precisely the sort of hybrid between regional rail and heavy rail subway service that BART seems to have promised but failed to deliver. I say that because DC has many more lines and accesses many more places in the core of DC. BARTs issue is that its one corridor instead of many when you get into SF. That's my basic gist when I write that DC did it better than BART.